This just in: Dove Men+Care is making some great new additions to their beloved line of personal care products, and you could be among the first to test them out! Is your anti-perspirant leaving you with annoying yellow/white stains on your clothing? Dove Men+Care is introducing a new line of Stain Defense invisible Anti-perspirants (available in both a Dry Spray and Stick Anti-perspirant), designed to eliminate nasty stains, while still giving you that 48-hour protection you need against sweat and odour. Are you a body wash user but not a fan of the residue that they can sometimes leave behind? Dove Men+Care's innovative, new line of Foaming Body Washes are designed to give you a rich lather that thoroughly cleanses and rinses off with ease, for a quick and easy clean that doesn't compromise on moisture. And it's available in your favourite scents: Clean Comfort, Extra Fresh, and Deep Clean. We’re giving 300 Canadian men the chance to test out a selection of the above products. 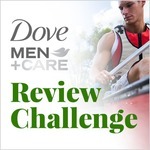 So click on the links above for more product information, then click on the banner below to apply by April 3, 2018 for your chance to be one of our Dove Men+Care advocates. Offer open to Canadian residents only. Selected members will be contacted by email the week of April 4, 2018. Remember to add "editor@xystuff.com" to your email address book to ensure that you receive all future communications from us. Dernière heure: Dove Men+Care fait place à de nouveaux produits dans sa gamme bien aimée de produits de soins personnels pour hommes, et vous pourriez faire partie des premiers chanceux à les essayer! Est-ce que votre antisudorifique laisse des traces jaunes ou blanches gênantes sur vos vêtements? Dove Men+Care lance une nouvelle gamme d'antisudorifiques invisibles, Stain Defense (disponibles en Vaporisateur à sec ou en bâton), conçus spécialement pour éliminer les taches, tout en vous donnant une protection contre la transpiration et les odeurs 48 heures durant. Vous adorez utiliser un nettoyant corporel, mais aimez moins le résidu qu'ils peuvent laisser sur votre peau? La toute nouvelle gamme de Nettoyants corporels en mousse de Dove Men+Care est formulée pour vous offrir une mousse riche qui nettoie en profondeur et se rince aisément, en laissant votre peau instantanément hydratée. Un nettoyage facile et rapide sans compromis sur l'hydratation. Le produit est disponible en 3 fragrances populaires: Clean Comfort, Extra Fresh, and Deep Clean. Nous offrons la chance à 300 hommes canadiens de tester une sélection des produits mentionnés ci-dessus. Cliquez sur les liens pour obtenir plus de renseignements sur chacun des produits, et sur la bannière ci-dessous d'ici au 3 avril 2018 afin de devenir un de nos testeurs Dove Men+Care. Cette offre s'adresse aux résidents canadiens seulement. Les membres sélectionnés seront contactés dans la semaine du 4 avril 2018. Assurez-vous d'ajouter "editor@xystuff.com" à votre carnet d'adresses pour vous assurer de recevoir nos communications futures. 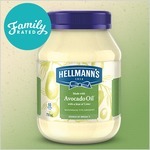 We received this sample - great product and will be writing a review after a few more uses! Really excited for this offer cant wait till the emails get sent out....really hoping for the opportunity to try such amazing dove products out and hopefully they will save my clothes from yellow and white stains!!! Dove is an incredible brand, These products look amazing to try out and its been a while since i used their products. Thank you for the opportunity. Applied for my husband, thanks for the opportunity! My husband has a hard time finding a deodorant that doesn't stain. He also has tried different body washes that he feels leaves a residue. I would love for him hot try this new Dove. 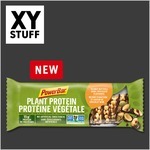 J'aimerais beaucoup essayer vos Nouveaux produits Dove Men Care avec XY Stuff Club. 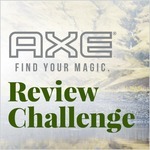 I would love to try your New Dove Men Care products with XY Stuff Club. Merci pour cette opportunité d'essai #DoveMen Care ! !